Classic Pilates Reformer with tower. A dynamic and very comfortable machine. Very short time required for seat change. Ideal for studios. This product is out of stock. Delivery time will be 3 weeks approximately. 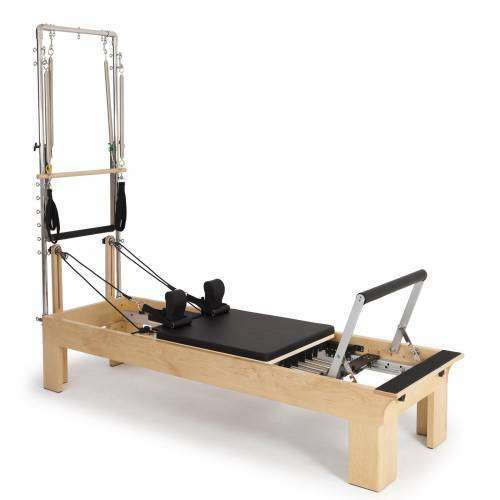 Classic Pilates Reformer with Tower. A dynamic and very comfortable machine. Very short time for a seat change. Ideal for studios that seek to provide environmentally friendly environment. Padded headrest provides 3 positions: 2 above carriage, 1 level with carriage. Springs: 2 yellow (light), 2 green (medium), 1 red (heavy). 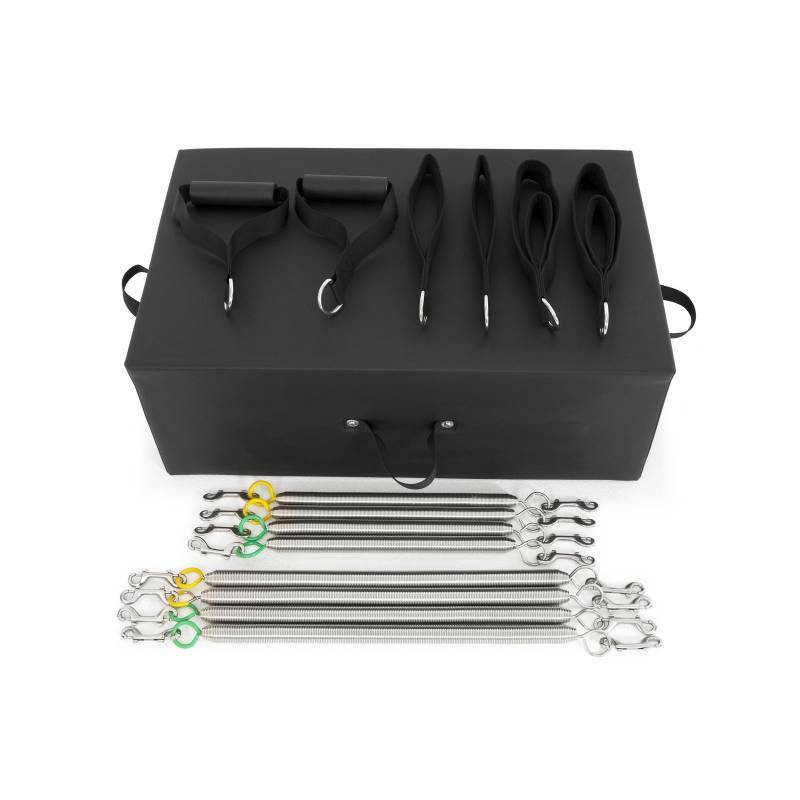 Loop/handles: foam handles (1 pair). Double feet and hand loops (1 pair). Made with best quality wood. Perfect stability & very resistant. All metallic pieces in inox & anodized aluminium. Upholstered bed in leather of long durability, designed specifically for our products. 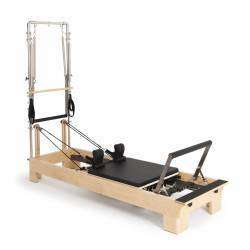 EVA foam padding high density, very comfortable and ideal for Pilates.